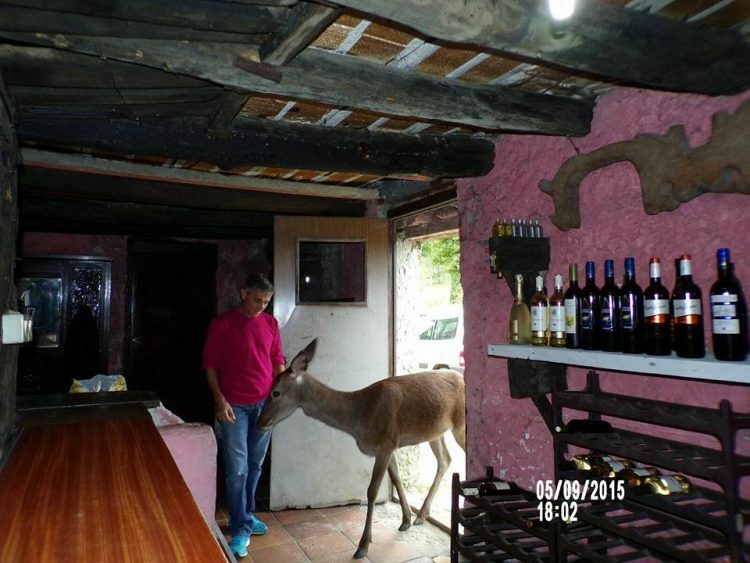 The now full-grown female deer, who Montes named Bambi, because he thought she resembled Disney’s famous character as a baby, not only became the main attraction of Les Praeres, a mountain cabin Aladino runs, but also completely changed his views on hunting. 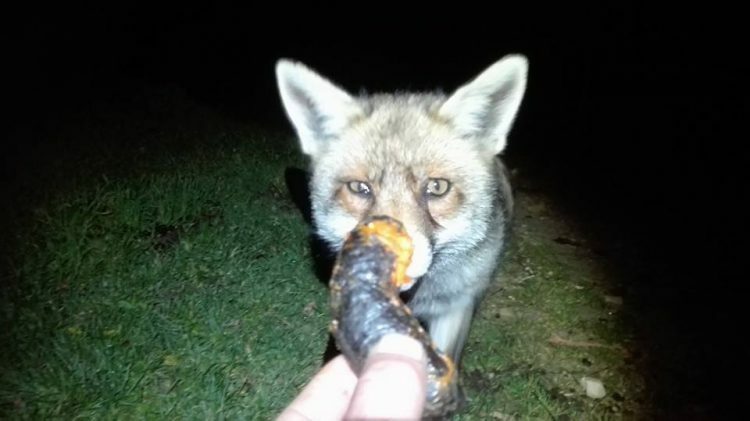 He always loved animals, but his father had taught him to hunt deer as a child, and he had been doing it regularly ever since. 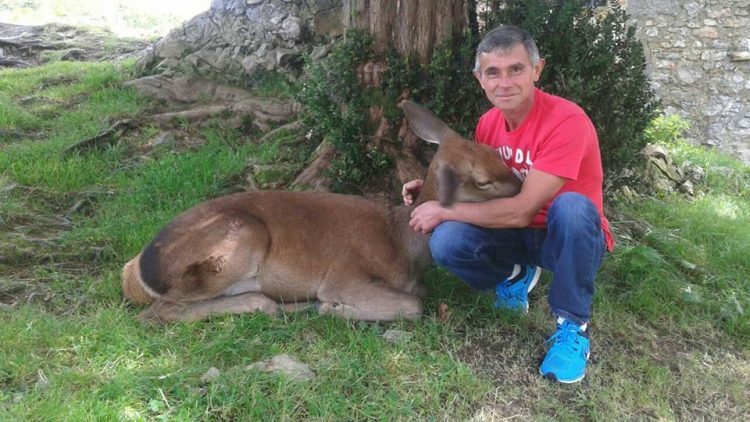 He did it for food, not sport, but ever since he adopted Bambi, he hasn’t shot a single animal. Aladino’s cabin sits at 1,140 meters above sea level, offering tourists a beautiful view of the surrounding mountainside. 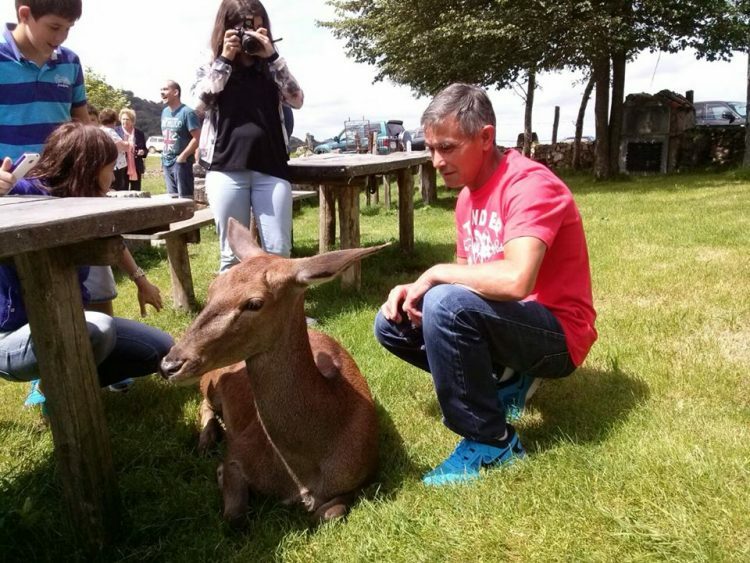 On clear days, one can see all of central Asturias all the way to Gijon, but most people don’t travel to Les Praeres for the view, they come to see Bambi, the friendly deer. Word of their amazing friendship has reached all corners of Spain and many curious tourists come to see it with their own eyes. Sometimes, Bambi will walk straight into the bar in search of Aladino and leave everyone with their mouth open, or even let people pet her, if she feels like it. But she’s always most comfortable at the side of her rescuer. She’s so relaxed around him that she makes other deer feel safe as well, and they sometimes approach the man of their own free will. 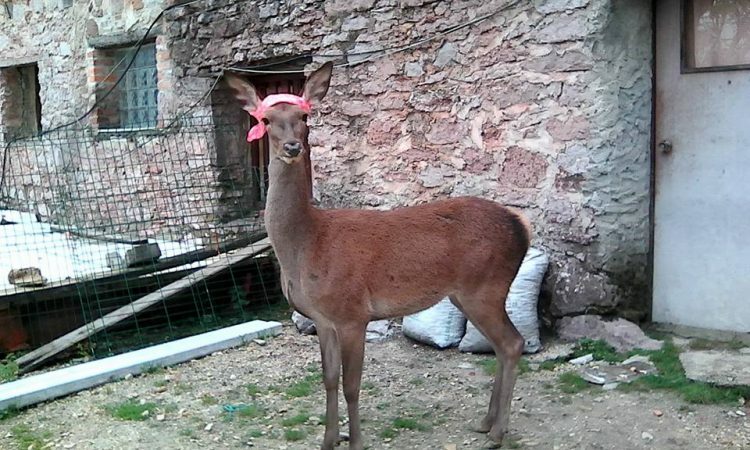 “The other deer can see she’s safe here with me, and in turn they also trust me,” Aladino says. 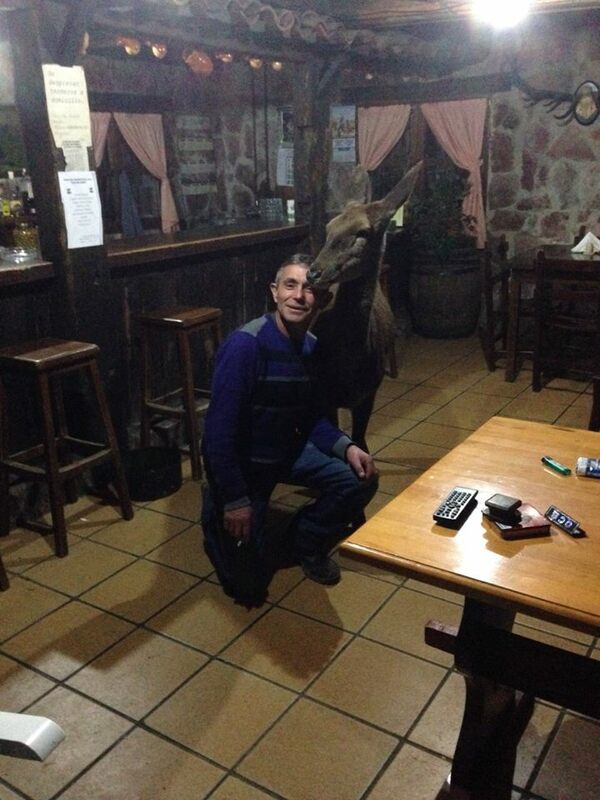 This unlikely friendship reminds of Flippen, the snack-loving stag who has been visiting a friendly old lady in Norway, for the past three years.